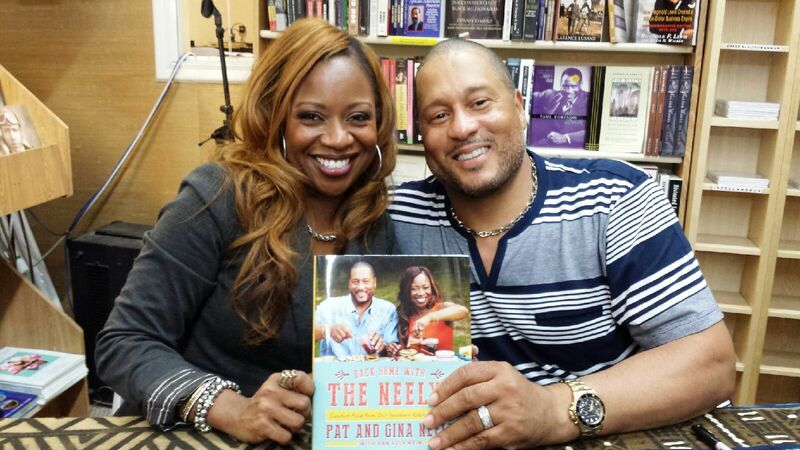 Gina and Pat Neely aren’t just the owners of three wildly successful barbeque restaurants in Tennessee and a brand new one in New York. 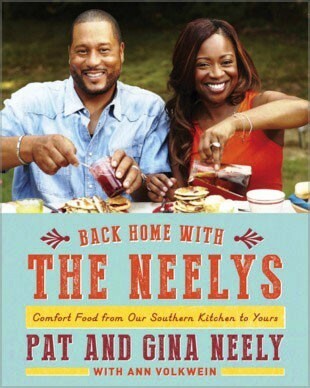 They aren’t just the stars of the very popular and highly rated Food Network show Down Home with the Neely’s. Simply put – The Neely’s are “Soul Food Royalty.” During a recent visit to Los Angeles to promote their new book, Back Home with The Neely’s: Comfort Food from Our Southern Kitchen to Yours, the royal couple appeared before an anxious gathering of locals at Eso Won Book Store in historic Leimert Park. Pat said that their latest book, the third one so far, is more than a cookbook of 100 recipes. He emphasized that it is also the story of both their families, the many experiences they had growing up that defined them, along with cherished memories about the food that feed their souls. Gina added that the book is a tribute to honor those who gave so much to them so they could be who they are today. Their regality was equally matched with their down home relatablity. It’s easy to see why America has fallen in love with the enterprising couple – they are the real deal. The stories juxtaposed with the hearty recipes make the book enjoyable reading. The vivid pictures make the food come alive and ignite immediate hunger pangs. Gina and Pat cover so much ground in their latest book from Deep Fried Pickles to Old School Braised Oxtails and the most seductive Summer Fruit Cobbler that calls your name. Pat shares his technique for smoking meats and Gina talks about the art of canning. They both answered questions from the audience about their new restaurant in New York, shared their feelings about being empty nesters and rediscovering each other now that their daughters are adults, and they talked about the importance of passing down our history and culinary traditions to the next generation. 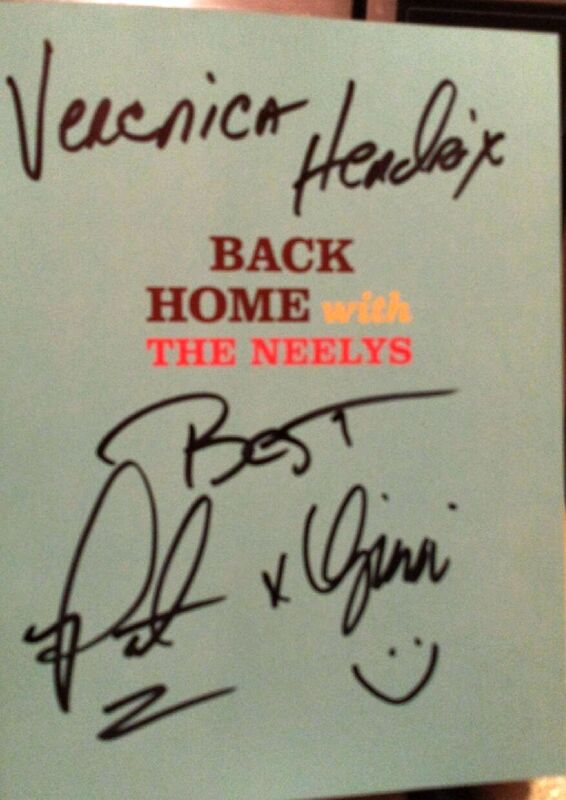 I now have a signed copy of Back Home with The Neely’s: Comfort Food from Our Southern Kitchen to Yours and it won’t be sitting idle. There’s lots of tasty, down home and soul satisfying recipes between the covers. One in particular that I just had to make is Not Your Basic Sweet Potato Salad on page 81. As Gina said in the book, “The sweet potatoes go well with the smokiness of the bacon. Personally, I love sweet potatoes and I loved this salad. Add the sweet potatoes to a large pot of cold, salted water. Bring to a boil over medium-high heat. Reduce to a simmer, and cook until tender, about 12 minutes. Drain the potatoes well, and while they’re still warm, add them to a large bowl with the celery, onion, and bacon. In a medium bowl, while potatoes are cooking, whisk together the mayonnaise, orange juice, orange marmalade, chipotle pepper, and adobo sauce until smooth. Pour the dressing over the potatoes while they are still warm, and toss well with a little black pepper. Cover the salad with plastic wrap, and chill at least 1 hour before serving. Serves 6. I used a combination of white sweet potatoes and red yams. My local market had both and I couldn’t resist making the adjustment. Also I used 2 tablespoons of freshly squeezed orange juice because I have two orange trees in my back yard and I am always looking for ways to use my bumper crop of oranges. One last note – I also used red bell pepper in the recipe. 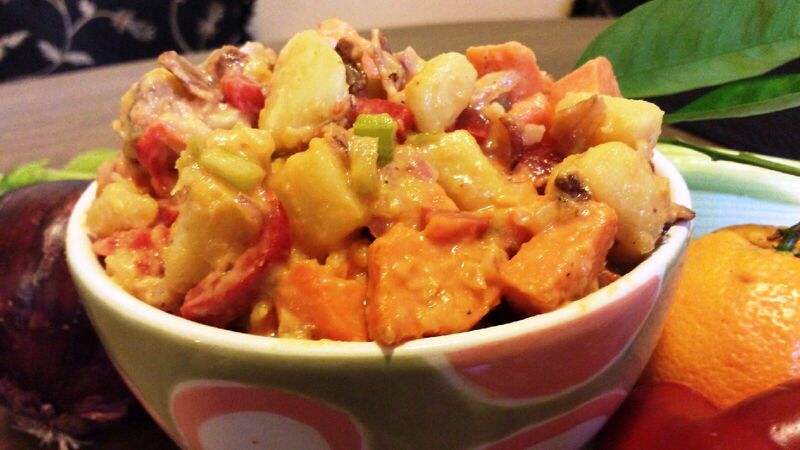 In another Neely’s Food Network Sweet Potato Salad recipe, Gina used red bell pepper. I thought it was a nice touch and added great color. This is an amazing recipe. You must try it. As the title says, it’s Not Your Basic Sweet Potato Salad – it’s beyond and more. My signed copy – very cool! This entry was posted in Foodies and tagged Back Home with The Neely’s, caviar, collard greens, Comfort Food, Down Home with the Neely’s, Eso Won Book Store, Food Network, Fruit Cobbler, Gina Neely, Leimert Park, Los Angeles, mayonnaise, Neely's Bar-B-Que Restaurant, Neely’s Barbecue Parlor, New York, Not Your Basic Sweet Potato Salad, Pat Neely, Sweet Potato Salad, sweet potatoes, Tennessee, yams. Bookmark the permalink.